For a player who have seen a lot of games and wants to try something different, 3Dice.com software developer would be a perfect choice. This company isn’t as old as the industry pioneers, but is experienced enough to release thrilling casino games. They focus on 3D graphics and animation so you would be able to completely submerge into the worlds created by the developer. Reliable 3Dice.com casinos are all you need to explore new, exciting gambling opportunities. The software provider is owned by Danmar Investment Group based and licensed in Curacao. This company perhaps isn’t familiar to you as well, but it entered land based casino business over a decade ago. 3Dice.com is intended to bring something new to online gambling as they think currently games don’t differ much from each other. This is a nice mission to achieve as sometimes it really seems that most of choices are indeed very similar. Their only way to achieve that is to attract more gaming operators to join the list of 3Dice.com casinos, because today their beautiful ideas aren’t widely available. One thing players won’t like about 3Dice.com is that their casino software must be downloaded to computer. This fact is quite interesting as the developer wants to make a difference by push this industry to new levels, but still offers downloadable software only. Best 3Dice.com casinos could suffer popularity decline simply due to this fact. Online gambling operators today don’t commonly use a single software supplier especially if it’s unfamiliar to players. Since the company’s software isn’t integrated into other, more popular platforms, it’s not surprising that the list of 3Dice.com casinos is very limited. But that just makes their collection more exclusive. You can only rely on iTech Labs certificate and Curacao license when drawing conclusions about fairness of their games. There are no other evidences that games return as much as they are supposed to. Basically, iTech Labs is a trusted company which has tested Random Number Generator of famous gambling operators, including PartyPoker. Certificate given to 3Dice.com is available on the developer’s website, and visiting iTech Labs site proved that the certificate they posted is original. So you can play at reliable 3Dice.com casinos without fearing that results are manipulated. This developer offers all popular types of popular games. There are around 80 games in total most of them are slot machines. Design and animation are surprisingly good for a small developer. If your primary goal is to play some exclusive games you won’t find at many casinos, 3Dice.com slot titles would be a great choice. Variety of interesting themes is available to gamblers: aliens, unicorns, monsters, beach parties and much more. Thanks to 3D graphics and creative design you can submerge into the worlds full of adventure. One of the slots gives you a chance to become a race car driver. Imagine adrenaline rush players get when sitting inside one of the most powerful cars on the driver seat. It’s going to be an amazing experience. It’s obvious that 3Dice.com tries to keep its promise to provide unique gaming experience, but unfortunately not all of their slots are as unique as you can expect. However, there’s always something special about each of their titles. The company produces mainly five reel titles with free spins, bonus games and multipliers. Players even would be able to double or quadruple their winnings by activating Gamble feature after any win. Online slots will reward twice your prize if you can guess a card color. The chances of winning 4 times more are 1/4 because you’ll have to guess a card suit. There are several classic three reels titles as well with just one or several paylines. Some of them even have wilds and bonus rounds. Best 3Dice.com casinos offer solid number of table and card games: baccarat, red dog, Texas Hold’em, blackjack, craps and roulette. Casino war is a game you would enjoy if you want to play cards but don’t want to bother yourself with too much decision making. Even though there aren’t many card games as other providers offer, 3Dice.com has some unconventional ideas and it’s quite exciting to explore them. Keno is another type of casino game this versatile developer has produced, and there’s one special thing about their keno. Players don’t just place wagers, select numbers and wait for results. They can switch between several camera views to add more thrill to playing. 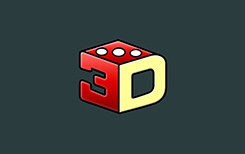 Considering it’s a relatively young casino software supplier, 3Dice.com did a great job. Not everything is smooth and perfect, but they do provide some unique games players would enjoy if they knew about them.